Dexter Jackson is finally opening up on his preparation through the on and off season. Training the body can be a journey filled with victories and defeats. Bodybuilding is literally a scientific experiment that one put themselves through in order to build quality muscle and become the best version of themselves they can possibly be. It’s for that very reason that so many people fail at the attempt, must go back to the drawing board, and once again establish a new system of training in order to see the results they desire. Building up the body is a journey becomes of all the trials and errors that one must overcome. But if you wish to develop your body and bring it to the ultimate level then it’s a reality that must be faced and conquered. It’s something that famed bodybuilder Dexter “The Blade” Jackson has realized through his career. As one the most veteran competitors at the top of the sport, Dexter Jackson knows a thing or two about reinventing himself. He won the Mr. Olympia in 2008, has the most Arnold Classic victories to date, and has competed against three separate generations of top flight bodybuilders. He has seen it all and yet Jackson is still at the top of heap. After his impressive run in 2015, Dexter Jackson proved that he still has plenty left in the tank. But it wasn’t a simple road. It required trial and error for Jackson to still be able to compete against the best in the game. 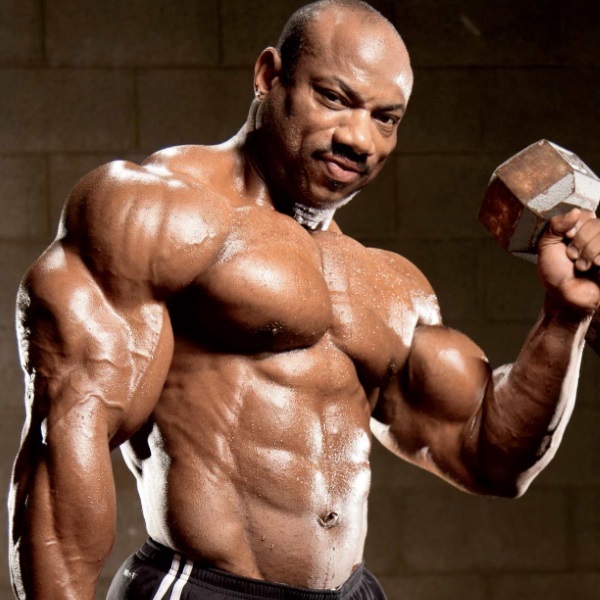 Usually a more subdued individual on the bodybuilding media scene, Dexter Jackson has finally decided to open up about the secrets behind his training, why he’s able to remain so well conditioned, and the impact he wishes to leave on the sport once he finally decides to retire. Take a look at the video below and you’ll get just a glimpse of how Dexter Jackson has once again built himself into a threat. How do you think Dexter Jackson will do at the 2016 Olympia?